Russian writer and teacher; born at Turijsk, province of Volhynia, 1828; died in Odessa in 1897 (?). He is said to have descended from Samuel b. David, author of the "ṬaZ" (commentary on the Shulḥan 'Aruk; the initials of Ṭure Za-hab), who in his younger days was called BaRDaCH (the initials of ). His father was the author of "Ṭa'ame Torah," Wilna, 1822, and of many other works left in manuscript. From him he received his first instruction in Hebrew grammar, Bible, and Talmud. 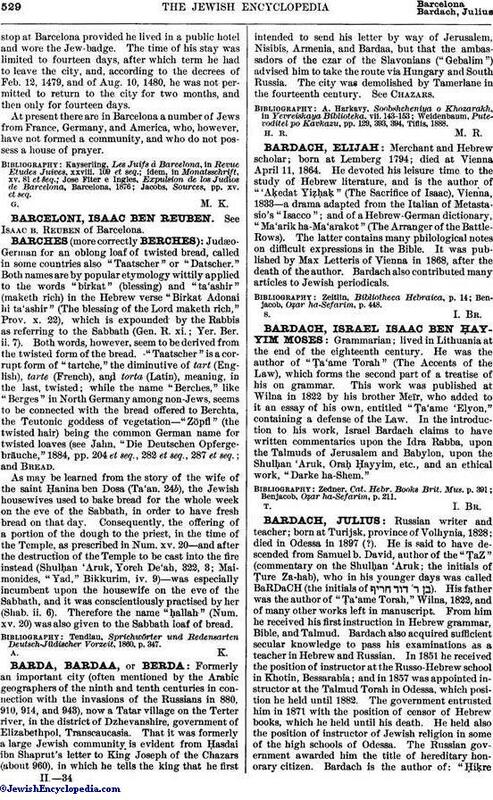 Bardach also acquired sufficient secular knowledge to pass his examinations as a teacher in Hebrew and Russian. In 1851 he received the position of instructor at the Russo-Hebrew school in Khotin, Bessarabia; and in 1857 was appointed instructor at the Talmud Torah in Odessa, which position he held until 1882. The government entrusted him in 1871 with the position of censor of Hebrew books, which he held until his death. He held also the position of instructor of Jewish religion in some of the high schools of Odessa. The Russian government awarded him the title of hereditary honorary citizen. 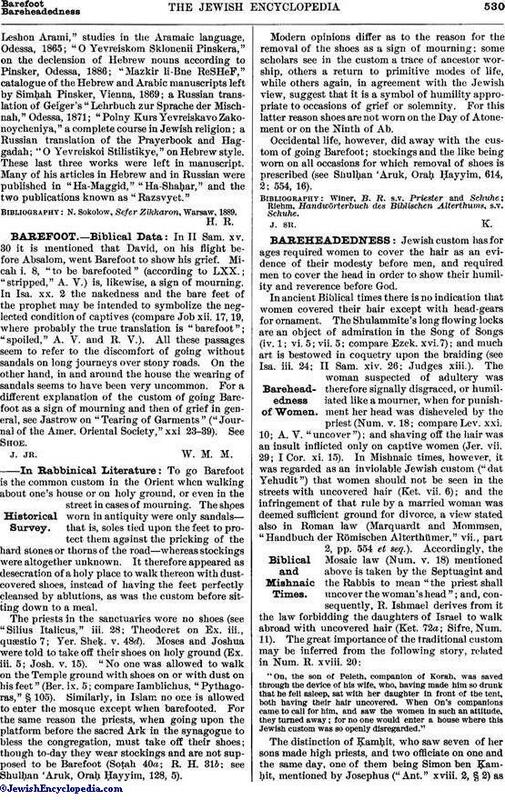 Bardach is the author of: "ḤiḳreLeshon Arami," studies in the Aramaic language, Odessa, 1865; "O Yevreiskom Sklonenii Pinskera," on the declension of Hebrew nouns according to Pinsker, Odessa, 1886; "Mazkir li-Bne ReSHeF," catalogue of the Hebrew and Arabic manuscripts left by Simḥah Pinsker, Vienna, 1869; a Russian translation of Geiger's "Lehrbuch zur Sprache der Mischnah," Odessa, 1871; "Polny Kurs Yevreiskavo Zakonoycheniya," a complete course in Jewish religion; a Russian translation of the Prayerbook and Haggadah; "O Yevreiskoi Stilistikye," on Hebrew style. These last three works were left in manuscript. Many of his articles in Hebrew and in Russian were published in "Ha-Maggid," "Ha-Shaḥar," and the two publications known as "Razsvyet." N. Sokolow, Sefer Zikkaron, Warsaw, 1889.